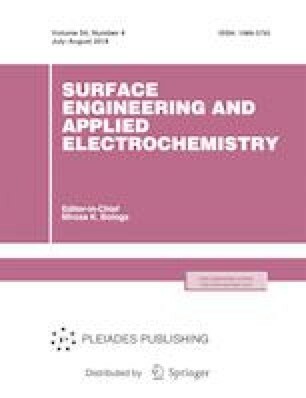 The paper describes the results of a study of composites with bentonite fillers and their dielectric properties as a function of the percentage of the dispersant and the alternating electric field frequency. It has been found that the pronounced dispersion of the dielectric parameters of the composites is caused by charge migration and localization at intrinsic point defects and at the interfaces with the sublattice of the dispersant. Original Russian Text © E.M. Godzhaev, K.D. Gyul’mamedov, A.B. Nagiev, 2018, published in Elektronnaya Obrabotka Materialov, 2017, No. 6, pp. 67–71.